Conservation Dependent humpback, endangered blue and endangered southern right whales have shown consistent, seasonal use of important habitat in the southwest region with an apparent steady increase in humpback sightings. 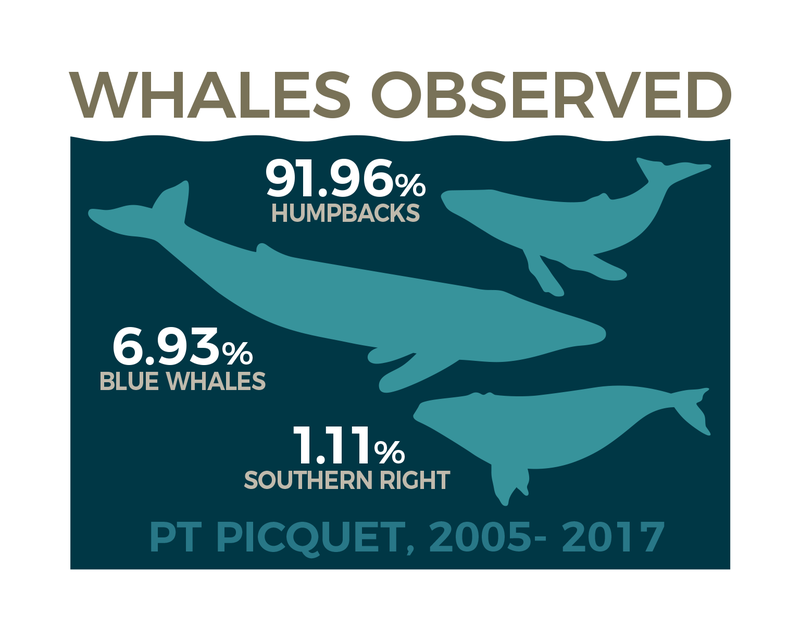 Seasonal observations undertaken between 2005-2017 have resulted in a total of 22,600 humpback, blue, and southern right whale sightings recorded from Pt Picquet. Of this combined total, 91.96% were humpback, 6.93% were blue, and 1.11% were southern right whales. If whales are diving for prolonged periods or swimming evasively, you are disturbing and upsetting them. Leave them alone. It is an offence to harass whales, and they may permanently abandon an area if frequently disturbed. Burton, C. 2018. Preliminary analysis of the long term data set of land based whale monitoring in Geographe Bay for 13 years (from 2005-2017). Unpublished.